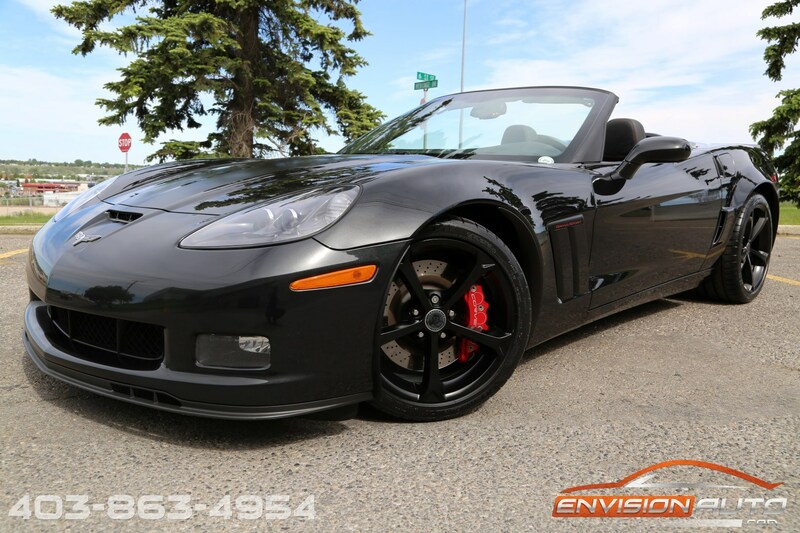 More Details : – **** SOLD **** 100TH ANNIVERSARY CENTENNIAL EDITION – CARBON FLASH METALLIC EXTERIOR – 3LT – MAGNETIC RIDE – NAVIGATION – HEADS UP DISPLAY – HEATED SEATS – BRAND NEW MICHELIN PILOT SUPER SPORT TIRES JUST INSTALLED – CLEAN CARPROOF – ONLY 27,000 KILOMETERS! 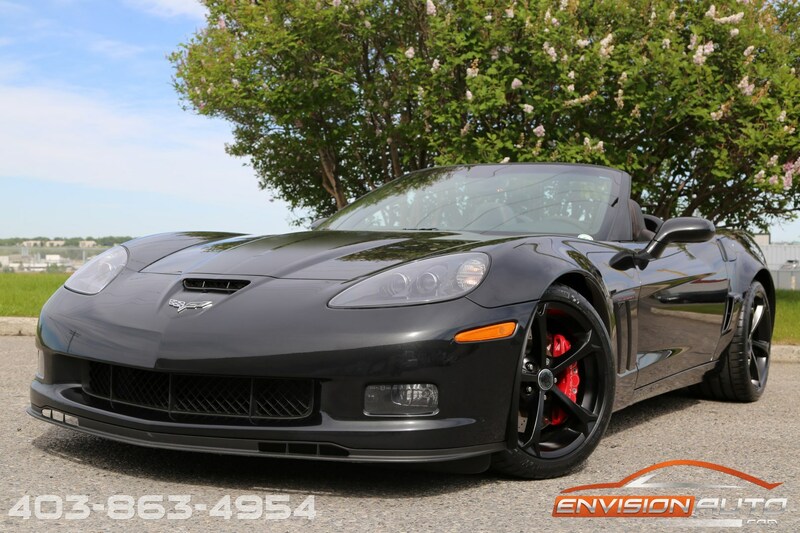 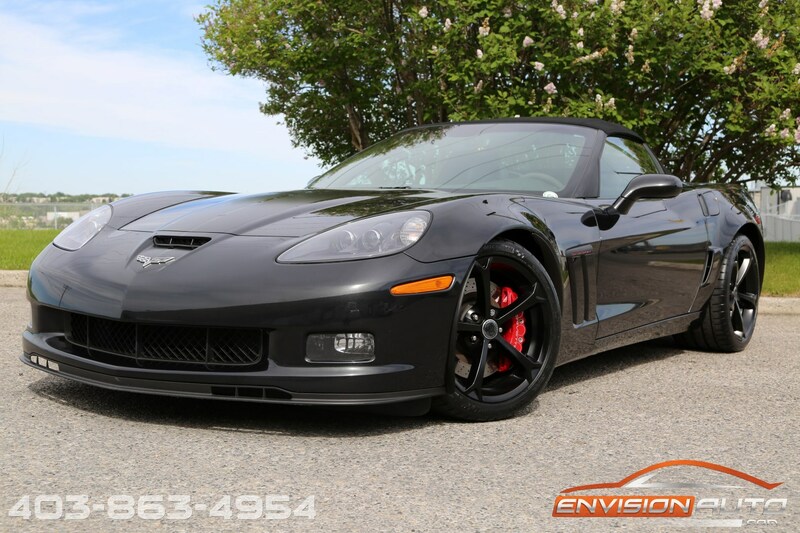 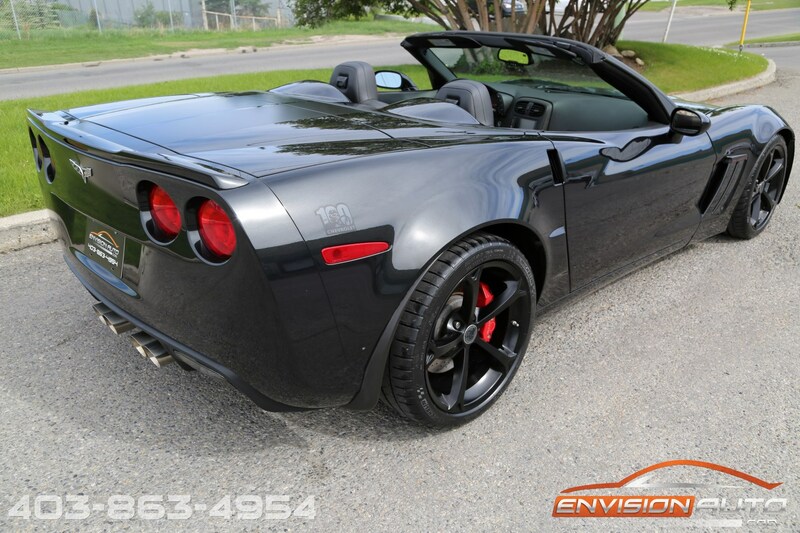 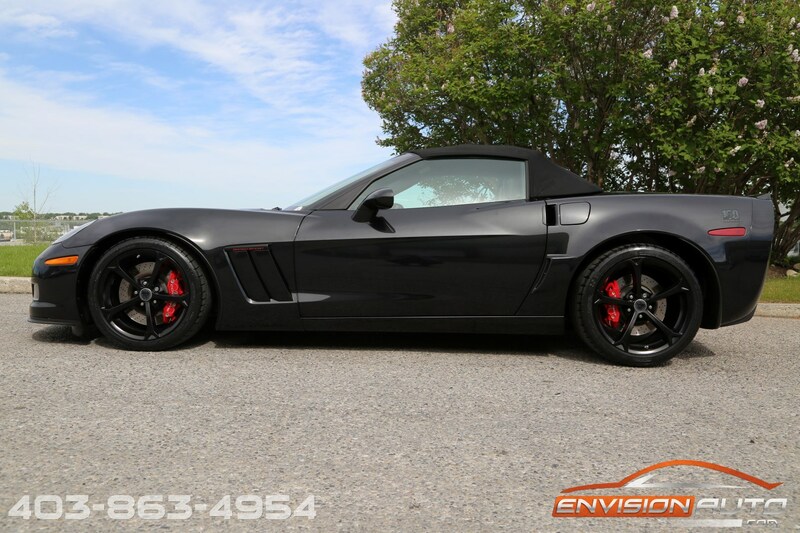 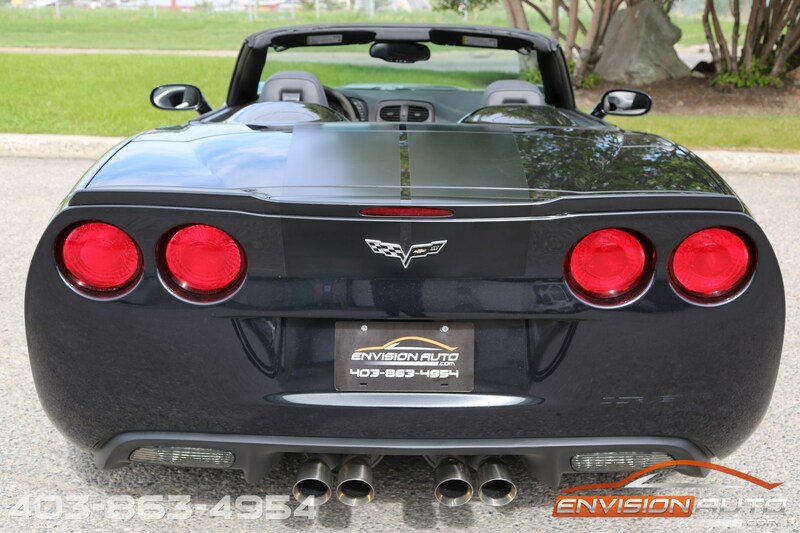 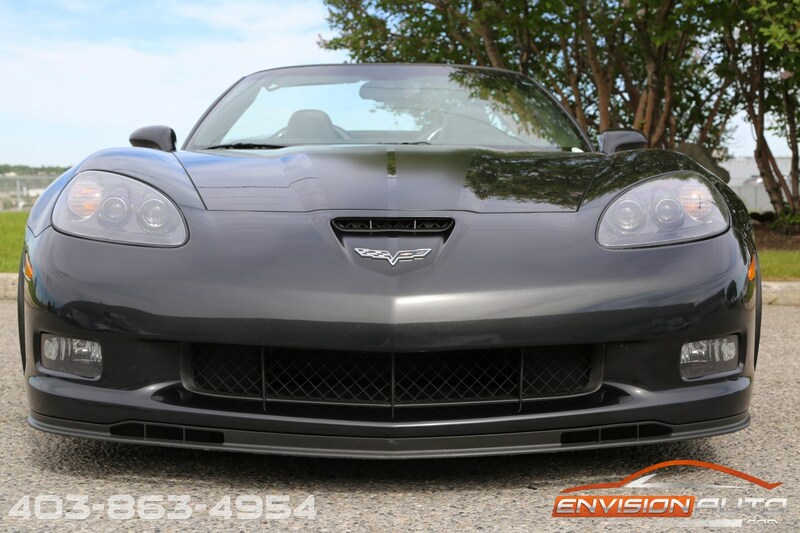 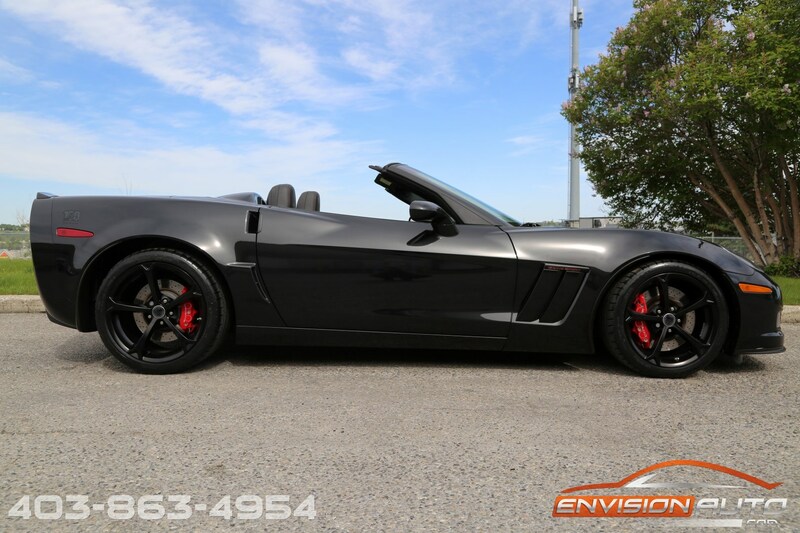 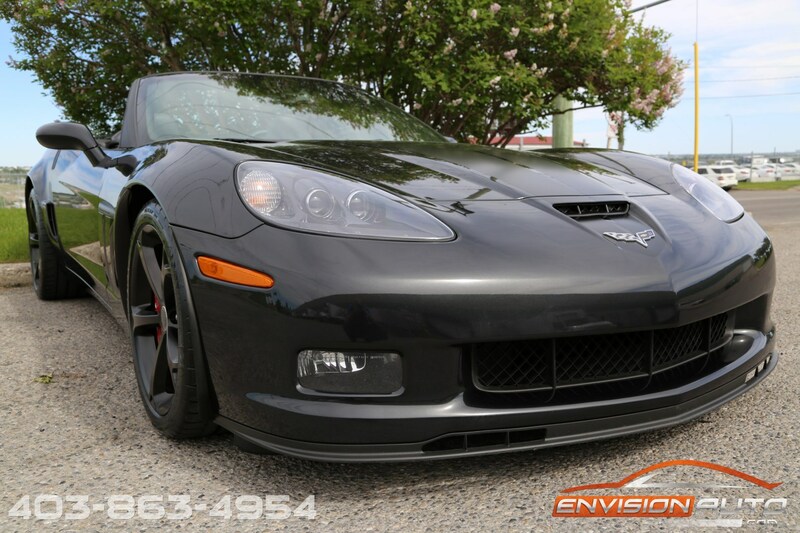 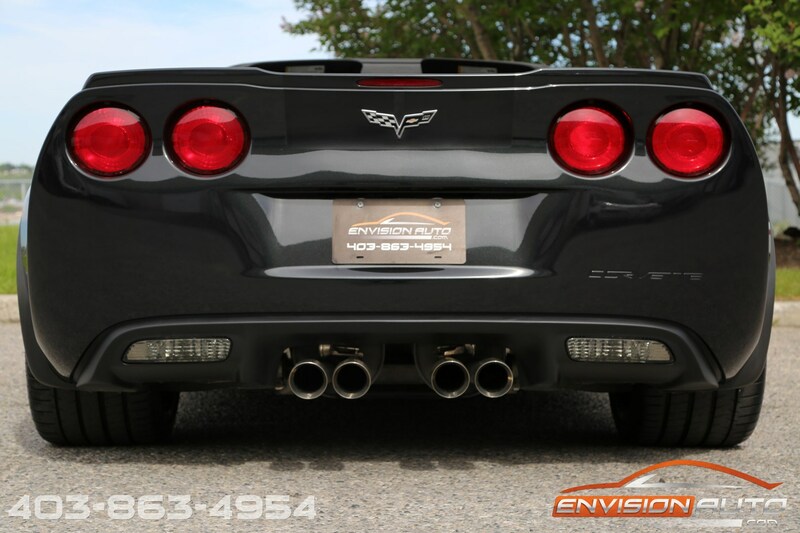 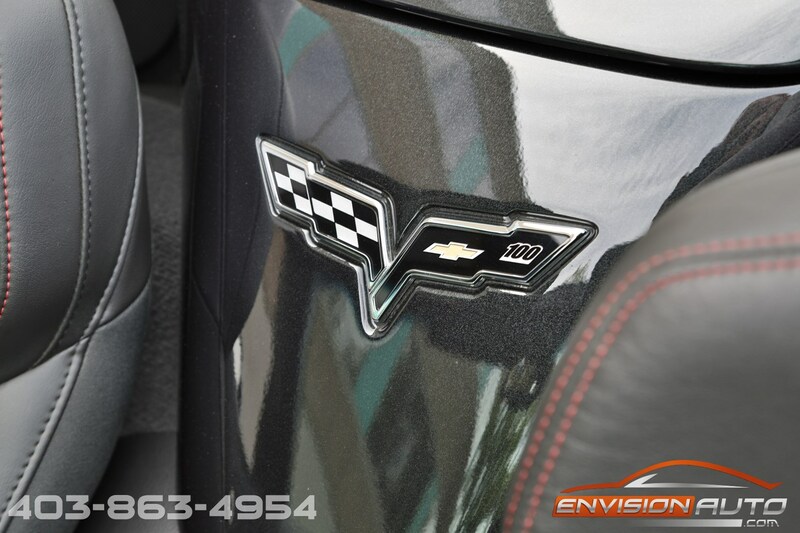 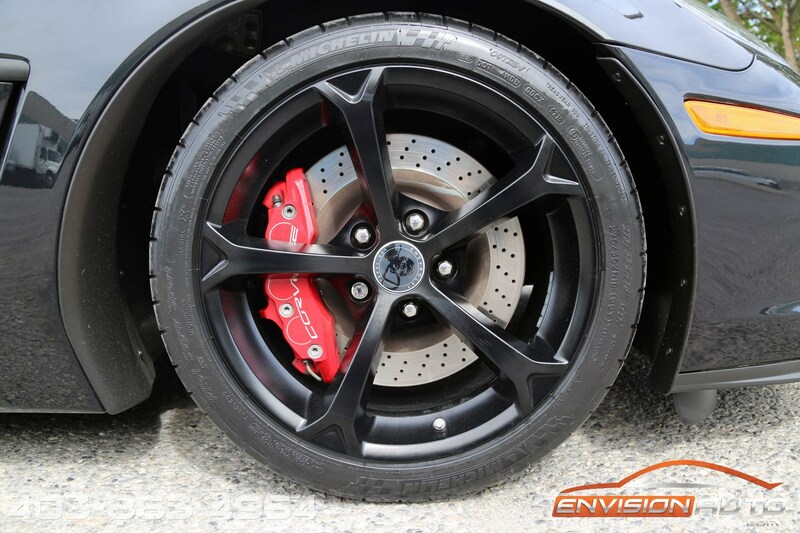 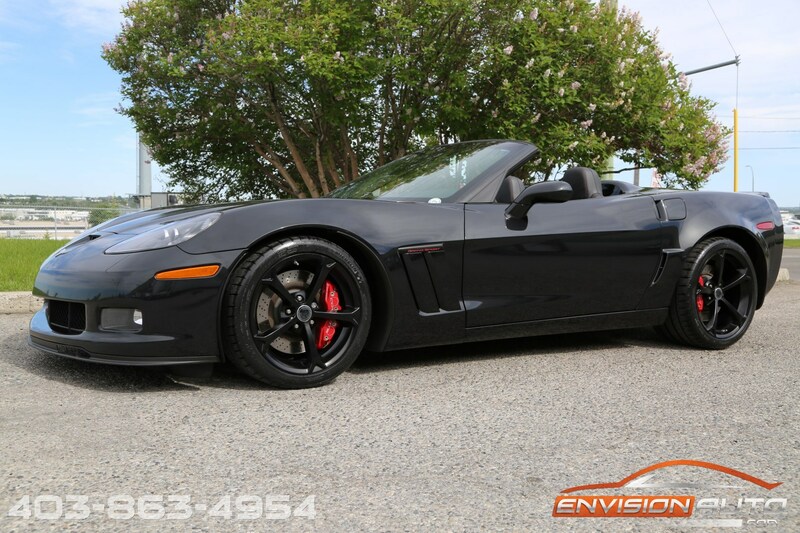 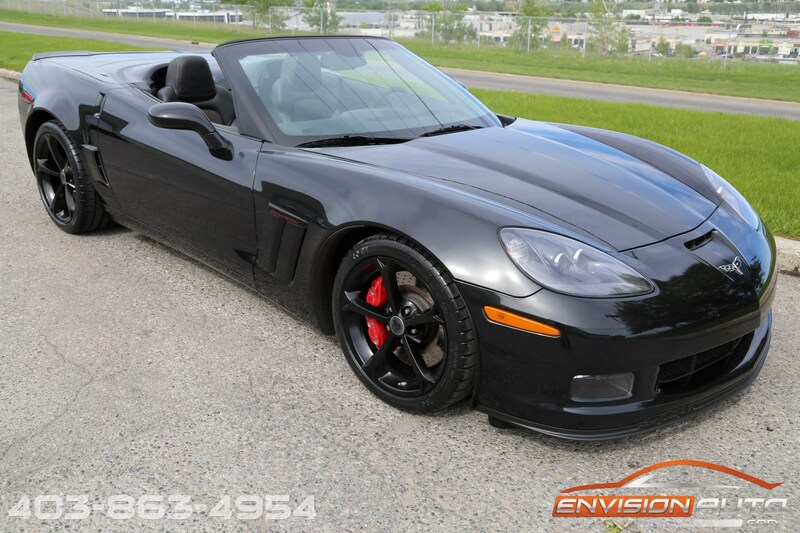 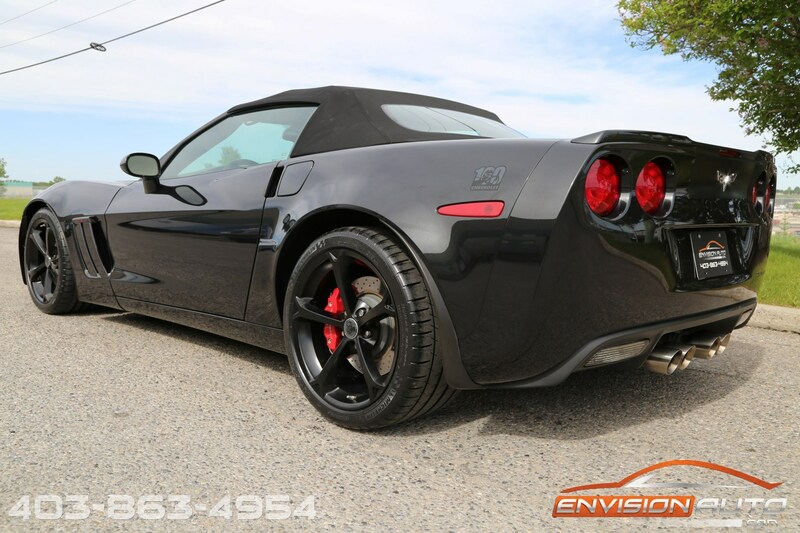 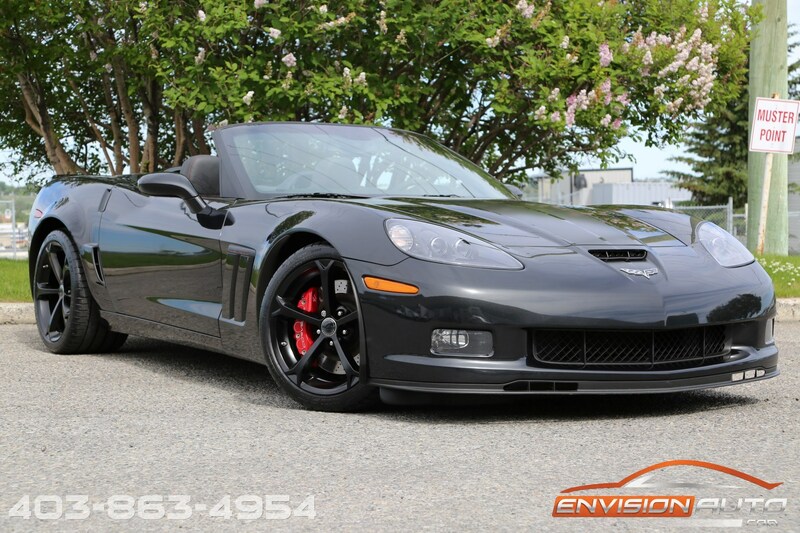 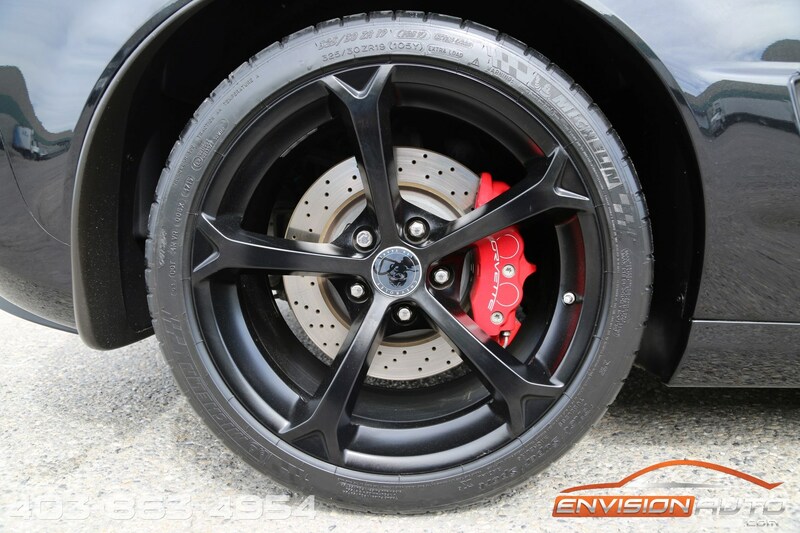 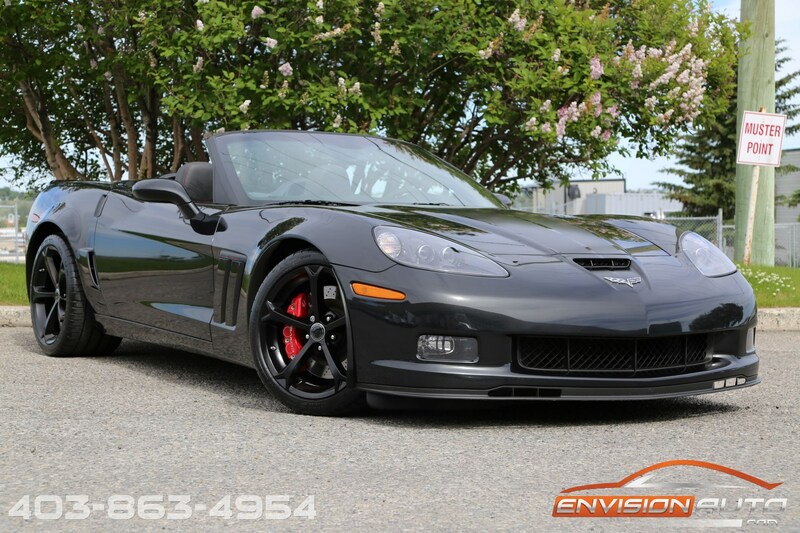 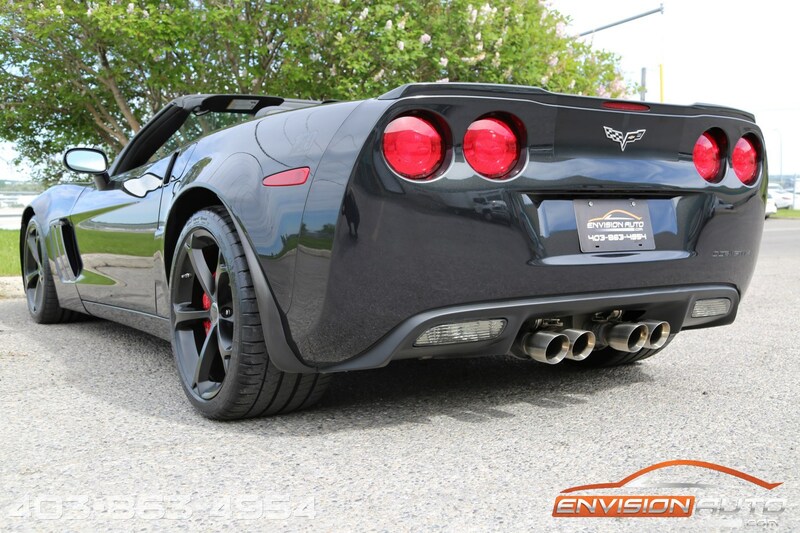 The Centennial Edition comes in one of the most desirable 6th generation Corvette colors available – Carbon Flash Metallic, with satin-black graphics, satin black wheels and red brake calipers giving the car a sinister look. 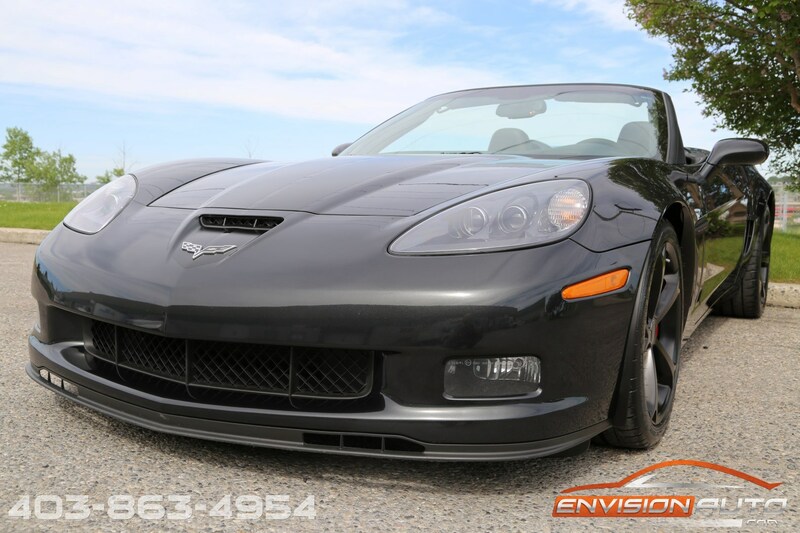 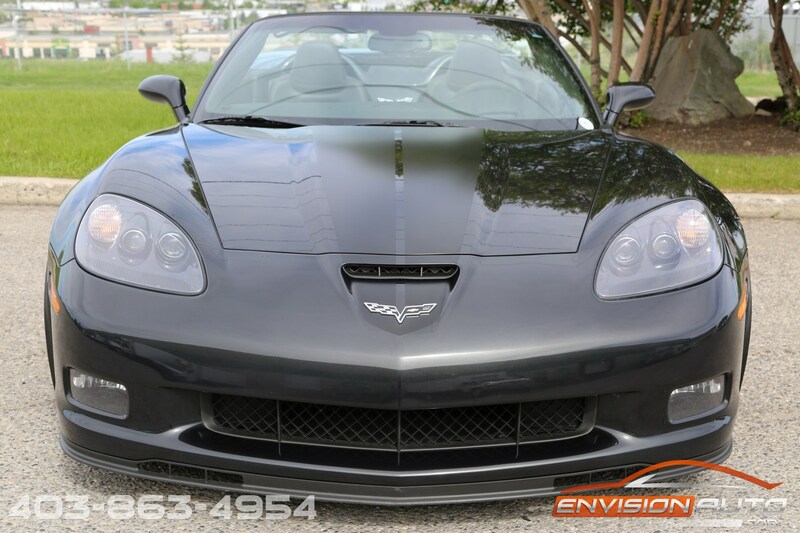 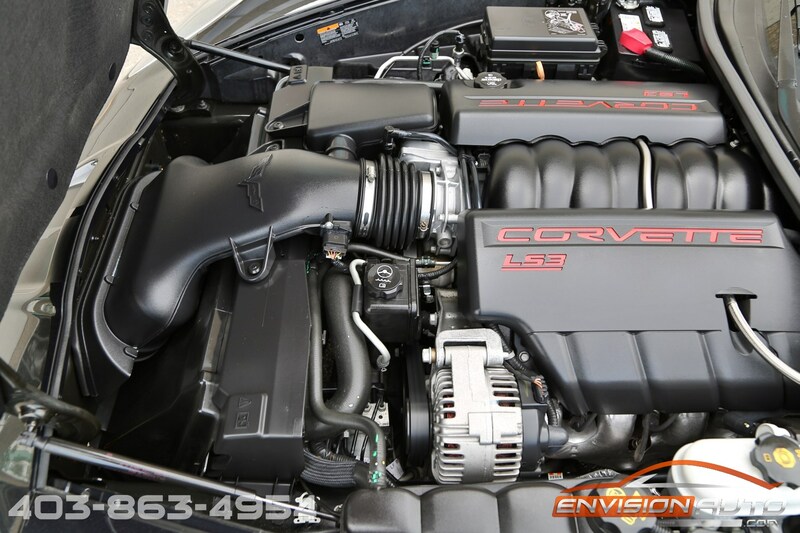 This Grand Sport comes in 100% unmodified and unmolested factory original condition without any prior modifications or alterations. 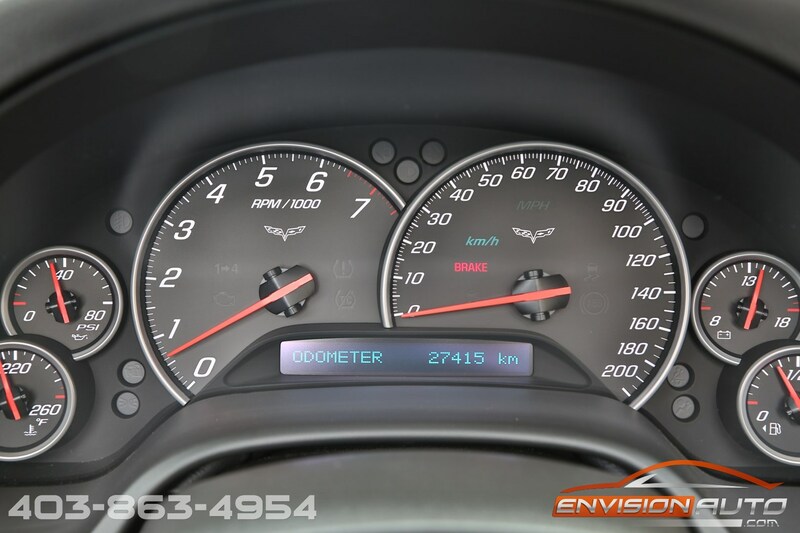 Full factory powertrain warranty still in effect until April 9th, 2017 or 160,000kms! 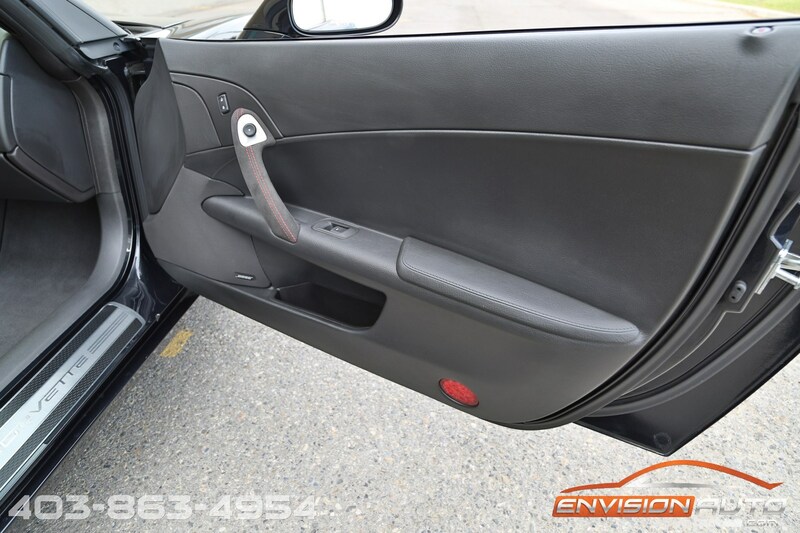 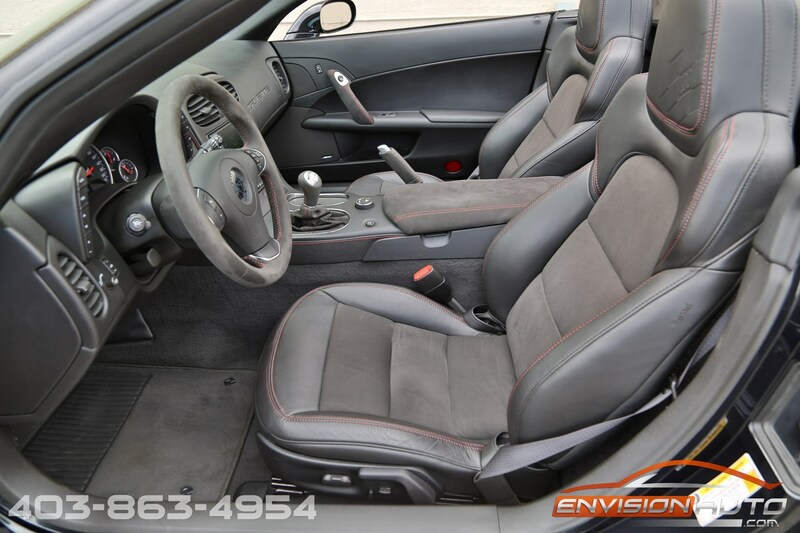 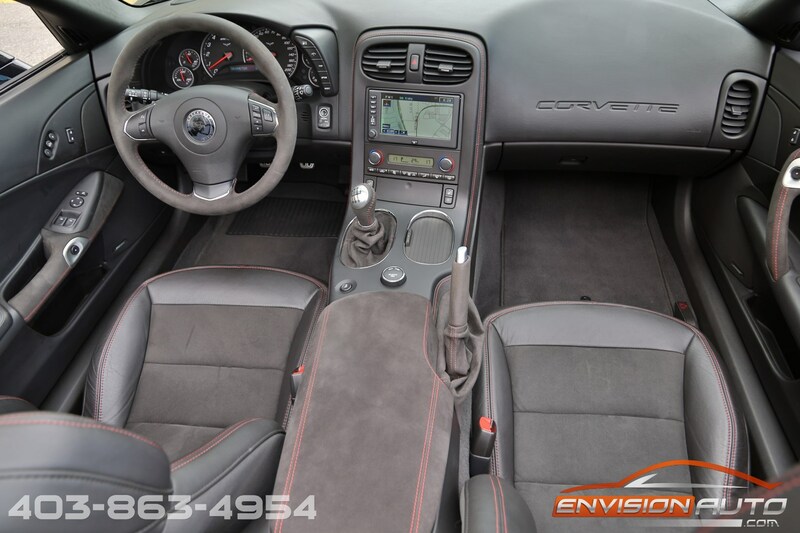 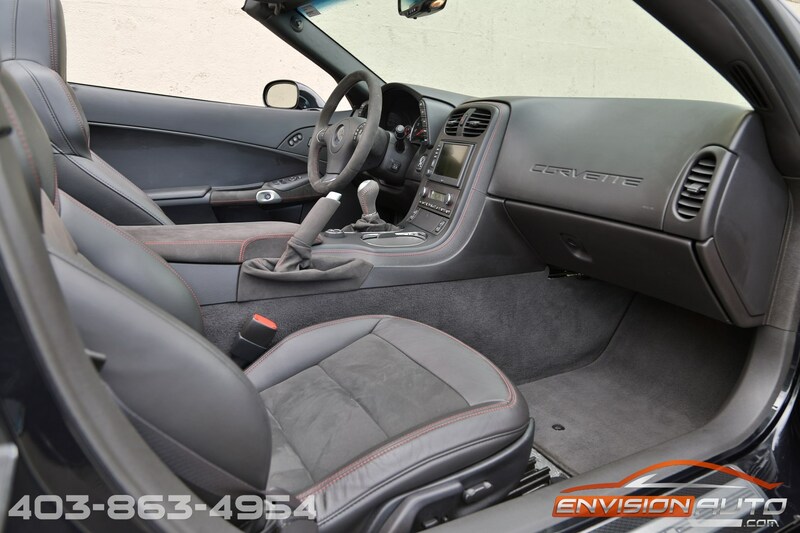 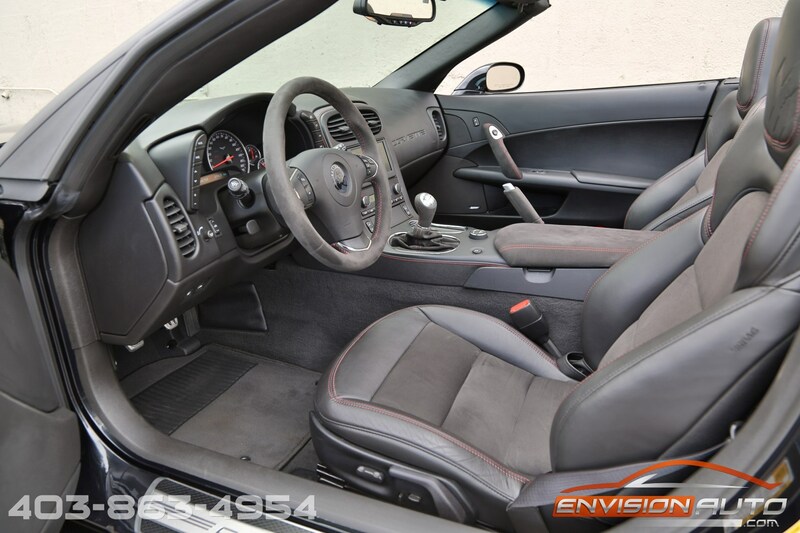 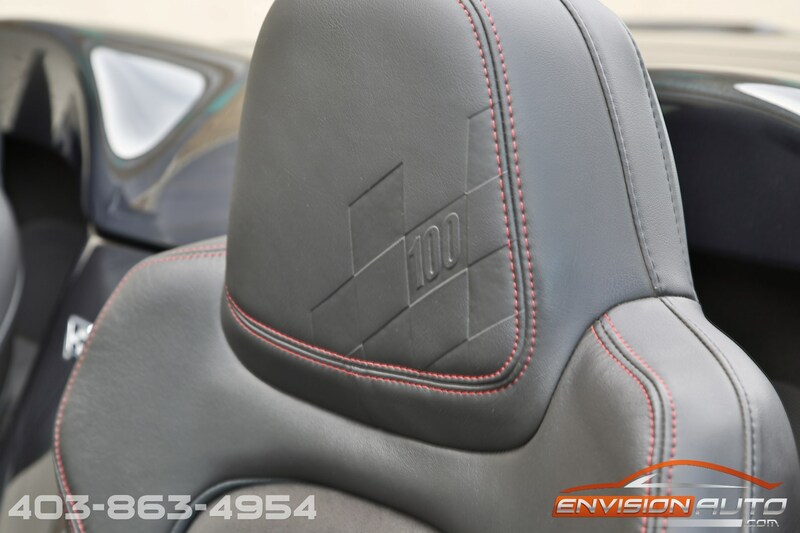 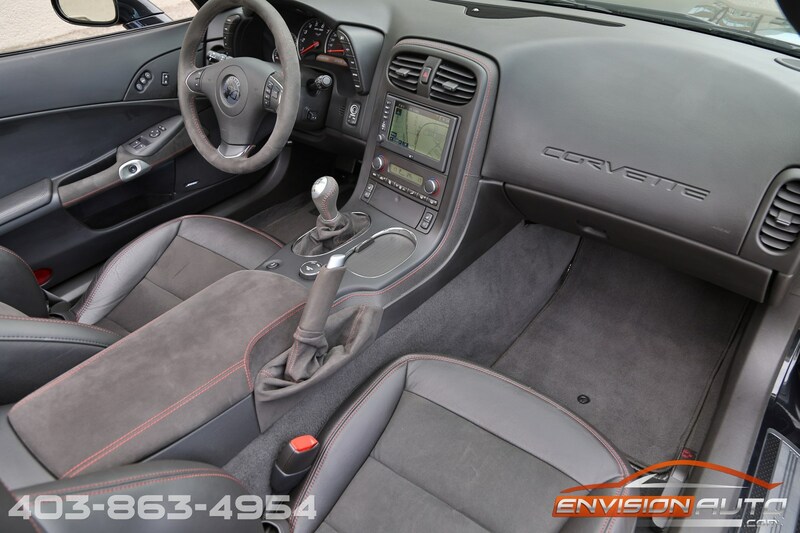 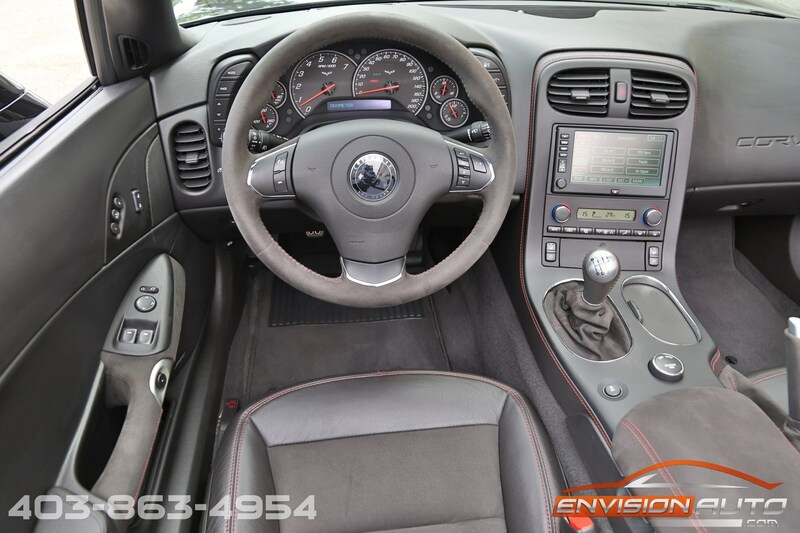 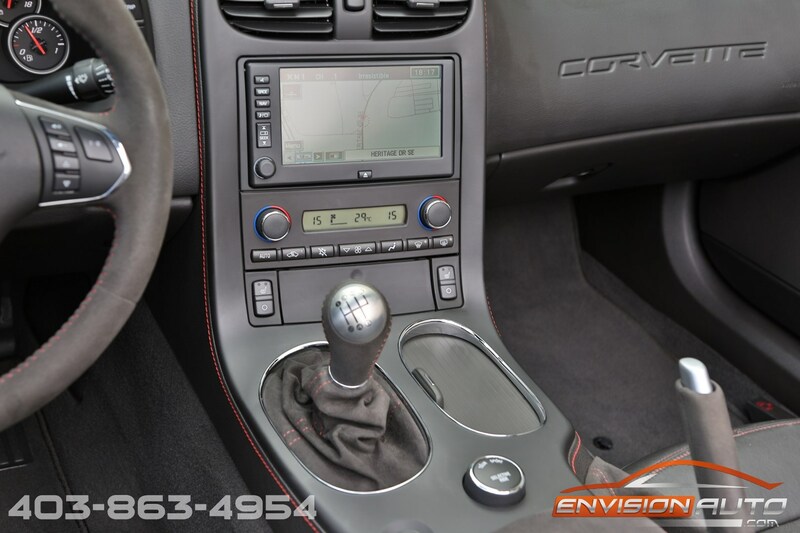 The car’s exterior treatment is echoed in the cabin where the dash and door inserts are wrapped in ebony leather with red stitching, while Microfiber suede is used on the seat inserts, steering wheel and shift knob. 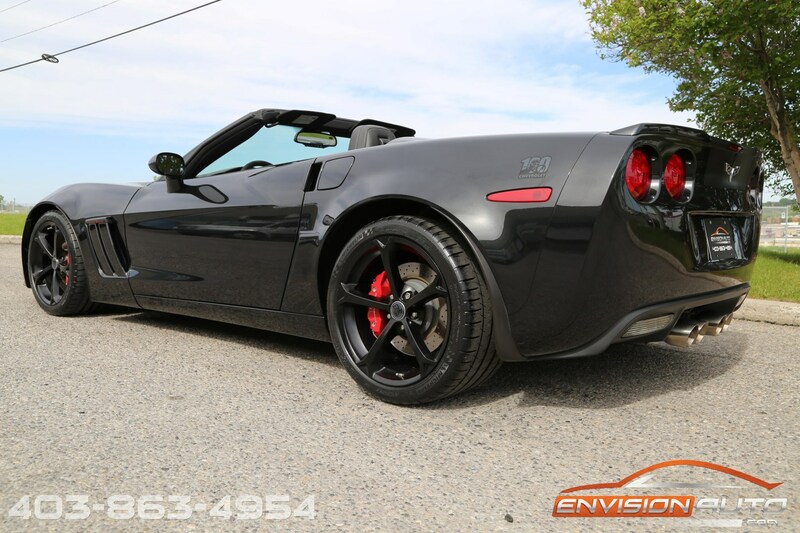 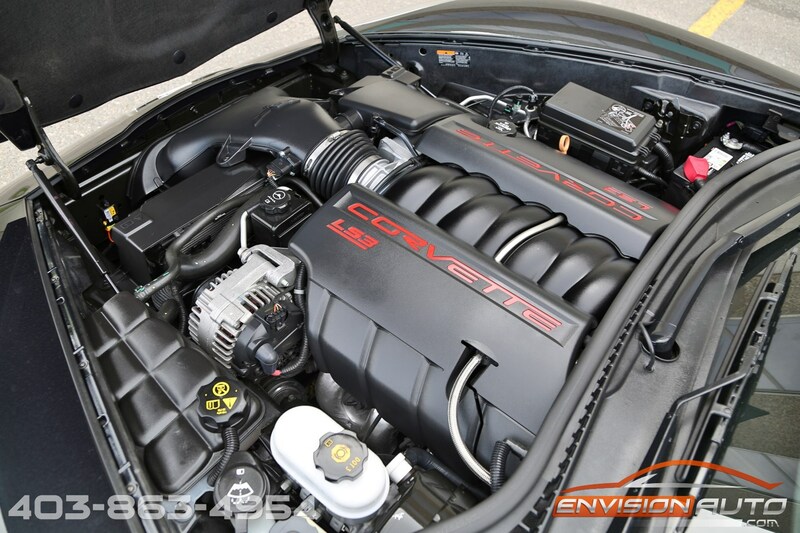 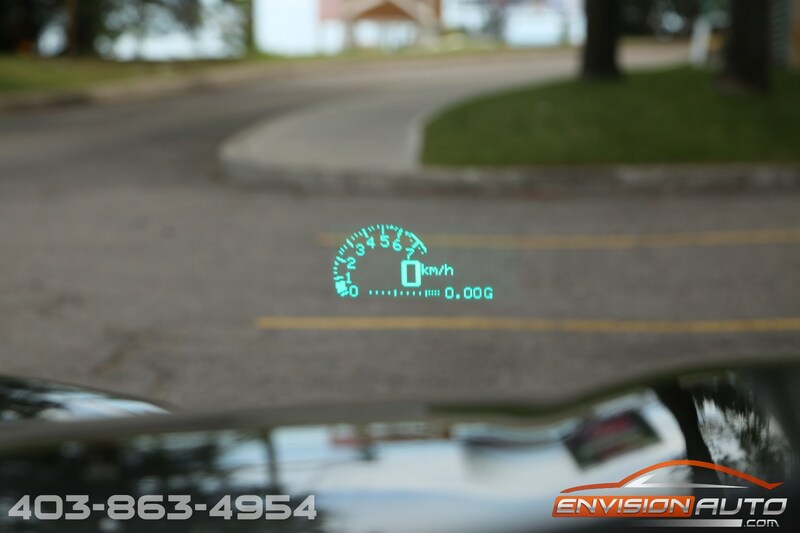 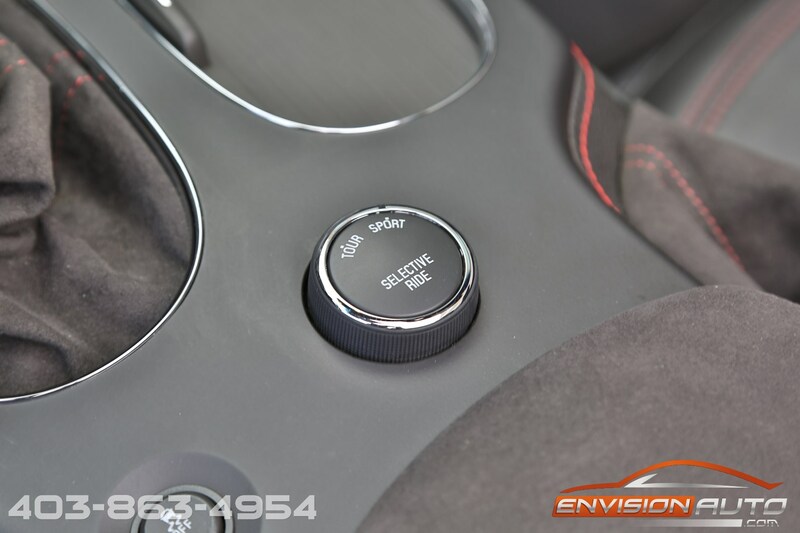 Factory options include magnetic selective ride control, navigation, heated seats, heads up display, dual mode performance exhaust, and a power convertible soft top. 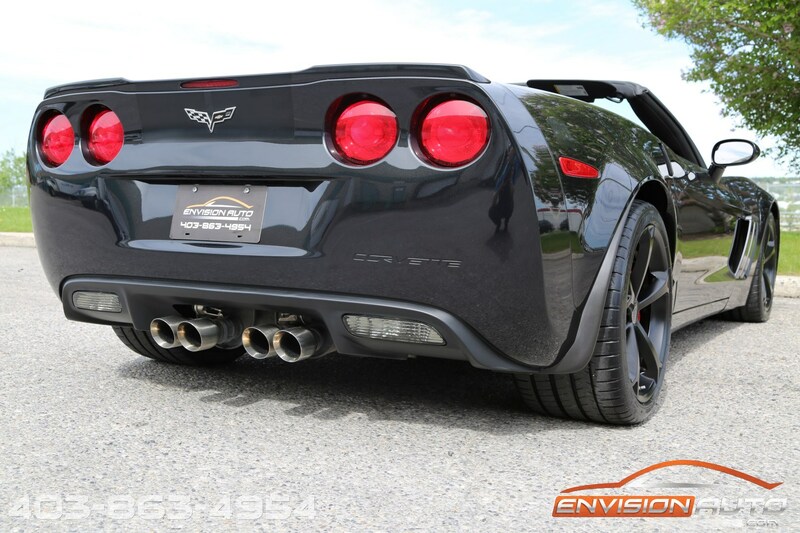 Just installed are a brand new set of Michelin Pilot Super Sport tires and a fresh Mobil1 fully synthetic oil change. 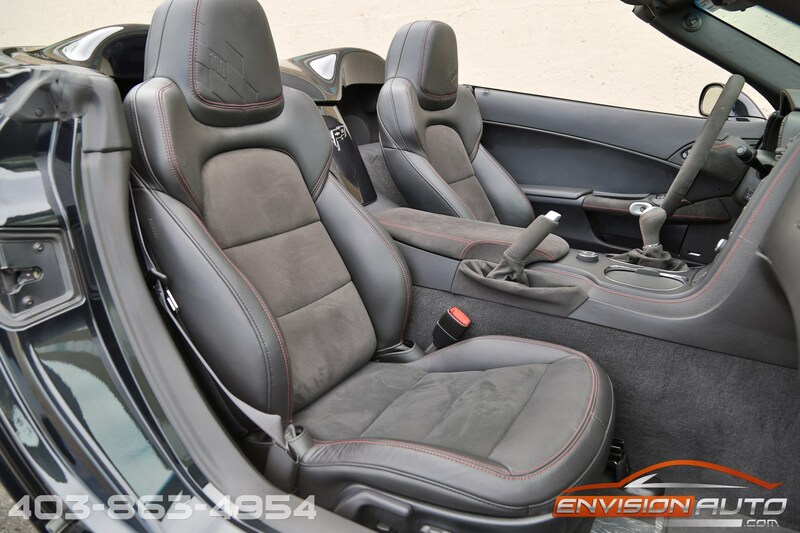 Everything is ready and set for a full summer of top down motoring!